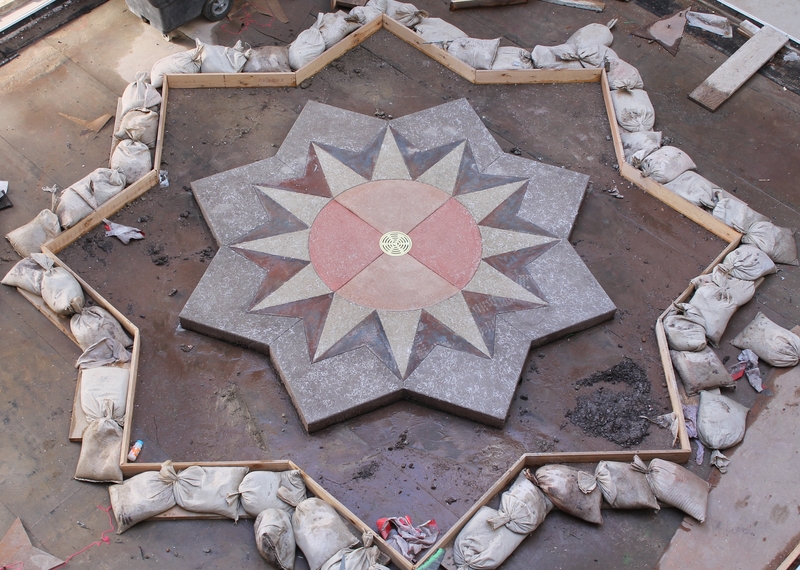 The concrete inlay in the Entry Courtyard is nearly done. The pins have been set on Aztec Lanes 9 & 10, who’s ready to bowl? 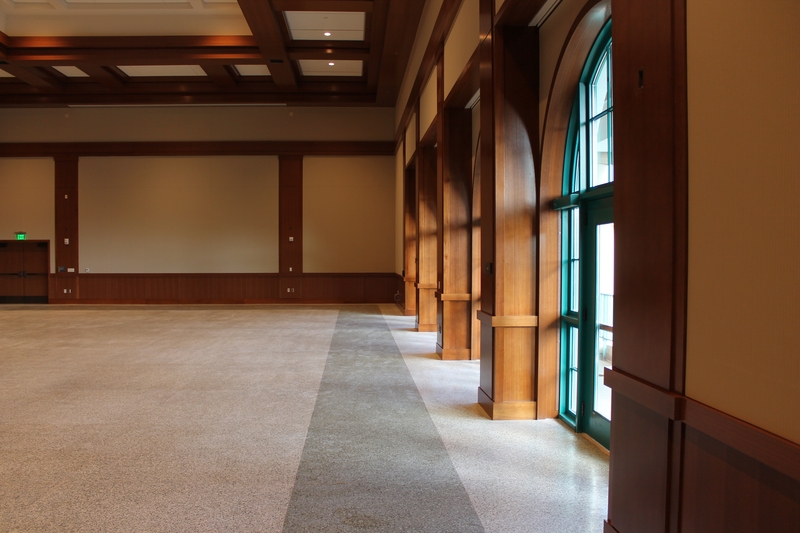 Light filters through the windows leading to the balcony on the east side of Montezuma Hall. Ready to be fired up, the pinsetters sit dormant for only a few more weeks. Still very unhappy this building was built.